Over the next couple of weeks, while I'm taking a bit of "maternity leave" I'm going to have a few guest posts for you. This one is from one of my fave bloggers, Kim at Melbourne Mum, and today she has been kind enough to share her top 5 fave books. 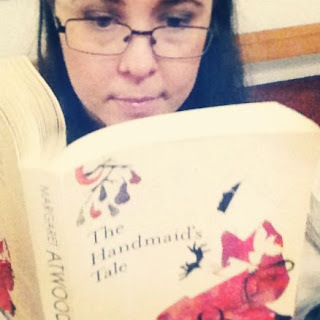 It's an awesome list and you should totally check em out, especially Margaret Atwood, who is one of my favourite authors, and The Handmaid's Tale which is also a Top 10 fave for me. When Kylie tasked me with putting together my Top 5 Books OF ALL TIME, my brain went into overdrive (note: this happens often). But an overdriven brain does not beat Kylie’s over-ripe uterus, so here I am I am (and it nearly killed me to narrow it down). These 5 books are, for various reasons, my top 5, mostly because the very act of reading the books, usually involves a story for me. 1. The Handmaid’s Tale, Margaret Atwood. Who doesn’t love Margaret Atwood? (well, her stories at least). I saw her in 1995, having dinner with her husband at York Street Kitchen in Stratford, Ontario. She is tiny in stature, but one hell of an imposing dude. Her presence is tangible and intimidating. This book is much the same - one of the best science fiction/thriller books ever. Haunting and real. 2. Wild Swans, Jung Chang. You know you’ve read an amazing book when you finish it and start crying (note to self: try NOT to let this moment be on a crowded peak-hour tram). Before you start yelling “Sook!” let me tell you, this is a powerful and gripping read. 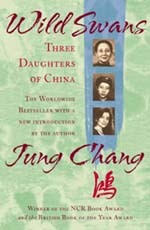 An autobiographical tale of Chang’s own female lineage – from the days of the archaic practice of foot-binding to her own painful navigation through the Chinese Cultural Revolution and beyond. I love dramatic autobiographical narratives. Evocative. Raw. And a rollicking good read. 3. The Bell Jar, Sylvia Plath. I have never been mentally ill, but have always been fascinated by it, fascinated with how it manifests, and how people deal with it. Sylvia Plath is like the literary poster child of mental illness and depression. The way she writes about it is so immediate, plaintive and heartbreaking because she lived it (and to a tragic end). It doesn’t get any more authentic than this. 4. The Exorcist, William Peter Blatty. Anyone who knows me knows this is a predictable choice. In terms of terror reads, it wins hands down (although Stephen King can churn out a decent horror, let it be said). I read this first when I was a young teenager and took it to a YMCA camp, where I lent it to a girl I met. I heard later that she’d taken the book home, her mother (a staunch Catholic) found it, and burned it. It has had a special place in my heart ever since. Have you read any of Kim's fave books? 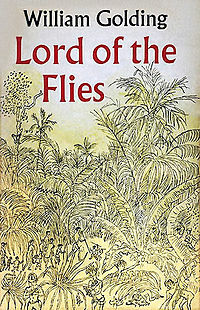 I've always wanted to read Lord of the Flies, I must see if it's available on my kindle. A big thanks to Kim for sharing her top picks with me today. You can catch Kim on her blog, Melbourne Mum, by clicking here, and you can also find her on facebook and twitter, and follow her amazing photos on Instagram. If you would like to share your Top 5 fave books with me an everyone else shoot me an email to kylie(@)kyliepurtell(.)com. I read ' Wild Swans ' in high school - which is long enough ago that I feel it warrants a re-reading! And I haven't bread ' The Exorcist ' but I have read a book called ' Possessed ' by Thomas Allen ( I think?! ) which is a priests documentation of the exorcism that inspired the fictional ' The Exorcist '. Very creepy! I haven't read any of these books, though I did start Wild Swans, but couldn't get past first chapter! I do need to read Lord of the Flies though....its on my list. I'm on a quest for new books to read for this month's installment of my 365 Challenge and you've come through for me with your first pick! I've read plenty of other Margaret Atwood but not "The Handmaid's Tale" that one for some reason. Anyway I'm going to fix this stat! 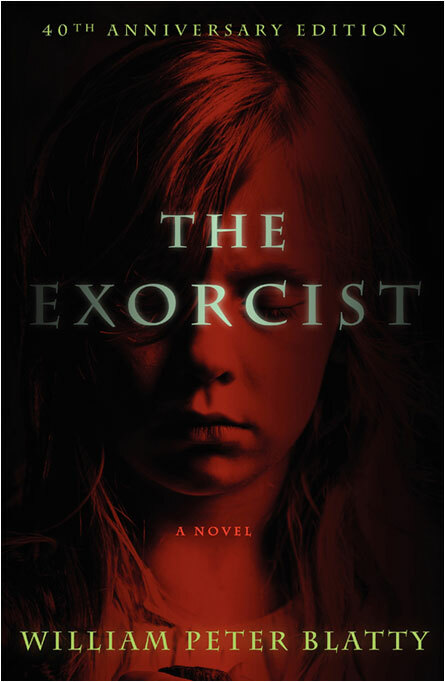 I thought it might also amuse you to know that I got busted reading The Exorcist under the desk when I was in Grade 7. My teacher was horrified and I got a detention! 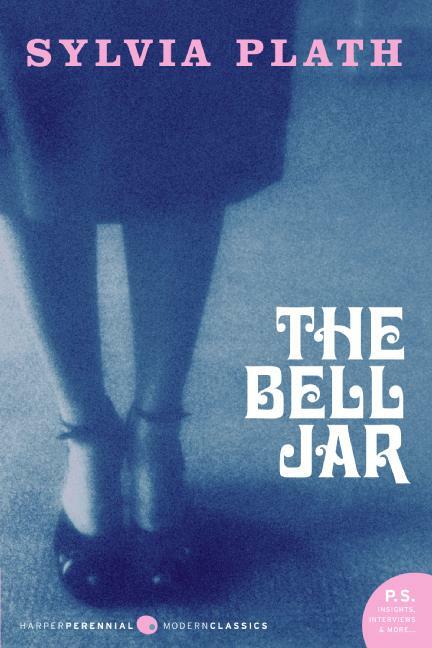 Bought the Bell Jar a few years ago and had started reading it in High school but could never finish it, also had to read lord of the flies for high school but didnt finish that either. I'm not one to finish a book I do not like, I just put it down and read something else. I can't watch horror movies so reading them would be just as bad, so I think I'll pass on that one but Ill have to find the other two and have a read! I remember reading Lord of the flies too, what a book! The Handmaid's Tale is one of my all time faves too. I don't know if I'm brave enough for The Exorcist though!! Lol no my mother is all for early introduction to "confronting" books and films. She rented Lord of the Flies for me and my sister on video when we were about 9 and 7. I was totally traumatised by of all that male savagery - especially the part where they kill poor Piggy. We were just a smidge too young for that one I think! I love reading people's favourite books and how each individually has different reasons for choosing those books. Completely agree with Handmaid's Tale and Wild Swans...I'd add The Great Gatsby, Life of Pi and a prayer for Owen Meany - oh, and anything by Kurt Vonnegut and Belinda Alexandra and Geraldine Brooks...i better stop...!